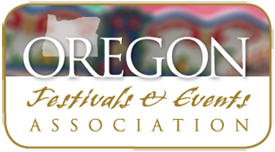 OFEA offers many opportunties for our members to get involved and support our efforts to be the best resource for events and festivals in Oregon. All of the committees below are open to any OFEA member in good standing to join. To learn more, contact Jill Ingalls, Executive Director, today! Jill@OregonFestivals.org. Organizes the annual March Conference including theme, speakers, session topics, keynotes, and marketing. Responsible for recruiting, judging, and awarding the OFEA Ovation Awards. Recruits, reviews, and organizes showcase entertainment during the annual conference. Organizes and markets all educational workshops, training, consults, resources and tools for event success. Maintains contact with current members and does outreach throughout the year to potential members. Reviews and monitor benefit fulfillment. Working with the supplier members to improve benefits and create a B2B relationship with festival members. Working on promoting the OFEA Code of Ethics. PR / Marketing Committee Manages social media, news releases and seeks out opportunities for promotion.